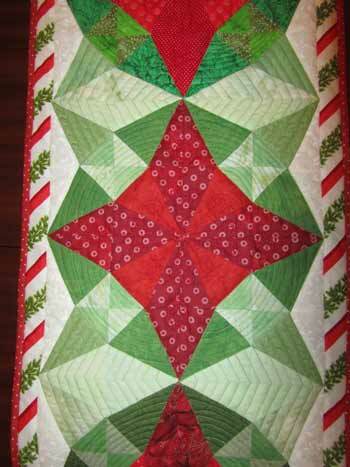 Christmas Runner Done! | In the Crayon Patch..
We are really in the Christmas season now, with no time to blog! 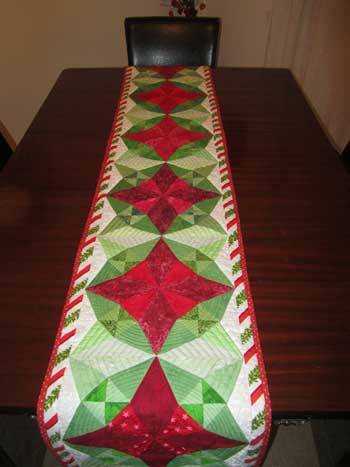 I finished the Xmas table runner a few weeks ago, and delivered it to its new home. I must say I thought it looked spectacular. Hopefully Clare enjoys it for many years to come. 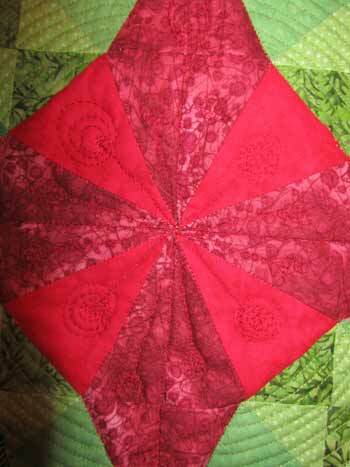 The quilting pattern was chosen to enhance the circular movement of the secondary elements, and I added lollipops in the stars to offset all the other angular shapes. The free motion was very quick and fun, but the other elements were very time consuming. I added the bands of red and white stripes to the sides because Clare really wanted a runner that was 14″ wide, and I was very happy with the results. 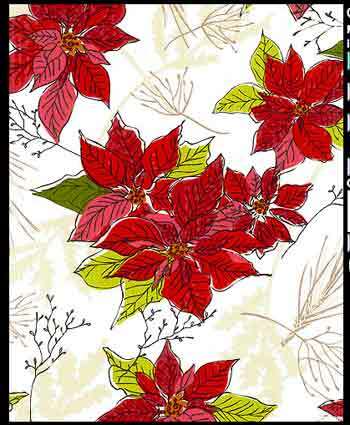 I searched for hours online for a suitable fabric, and finally found this from eQuilter. 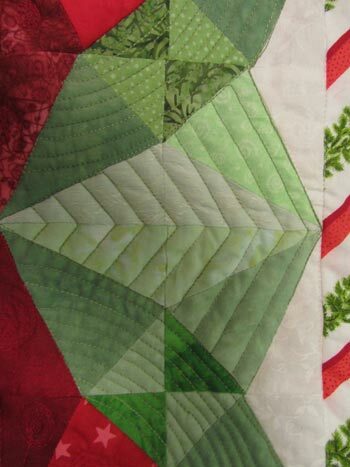 This was the backing fabric….. The binding was finished just before the clock struck midnight, and delivered to its new home the next afternoon. I love this design! Beautiful for Christmas! I love Storm at sea and thougt this is the pattern but it was more. Love it! I love this! I found you via your runner at the Quilting Gallery – I voted for you! You are joint 1st!! The colours are beautiful. Well worth the effort of dying them to get the right colour.